A few days ago, my company made the decision to move its office productivity applications to the Microsoft Cloud, known as Office 365. The company I work for is small with less than 30 employees and focuses on building systems to help businesses with Workforce Management. The plan was to make the move over the next few days. However, yesterday the email server had a catastrophic failure. Not only did this server run Microsoft Exchange (Outlook) but it was also the Domain Controller! This forced our hand, and we had to make the move quickly. 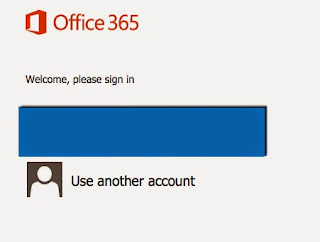 We were all told to export our email to a PST file so that we could import it into Microsoft Office 365. At work, I use my Apple Mac with VMWare Fusion. This allows me to run Microsoft Windows 8.1 for work. I decided to use a snapshot of a new Windows installation to give me a clean start. As instructed I went to the Microsoft 365 portal and logged in. I was presented with all of the information to help me get started. I was able to download Office 2013. This was a small file that ran the rest of the installation. What really impressed me was that I was able to start using Microsoft Office while it was still installing. It takes a while to install so this was a blessing! I started to get the feeling that Microsoft had done all that they could to get new users up and running as quickly as possible. The thing that has impressed me the most is that our company has moved from a typical small business set-up to a well built and well architected enterprise solution. Not only do we have Microsoft Office but we also have Skype for Business, Sharepoint and OneDrive. It all just works. It was easy to import my email into Microsoft Outlook and I simply copied and pasted my files into OneDrive (for business). I am now able to share files with colleagues without having to send them in an email. All up? A good experience.